We ordered in from Tiny Thai….again. This time, it seemed different though. I’m pretty sure they have a new chef or something. In the past, my pad thai with tofu was mediocre with pathetic pieces of tofu. This time, I got the large deep-fried chunks of tofu I’d become so accustomed to in Seattle. It also just tasted better somehow. 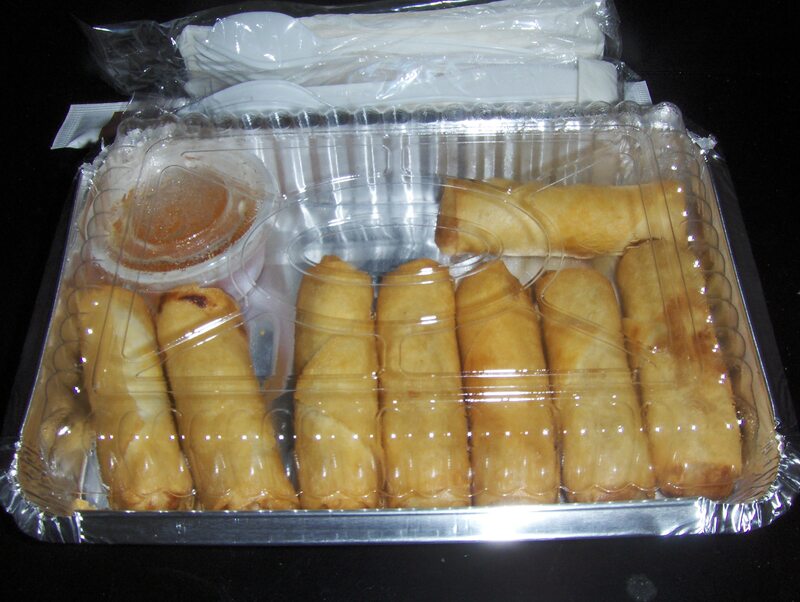 One of the things I love about Travis is that we always order spring rolls, it isn’t even a question. But this time I got the large order. I love me some spring rolls.